To say Tom Brady will be the healthiest player in Atlanta on Sunday would be a bold statement. At 41 years of age, he ranks amongst the longest performing quarterbacks in the NFL. But after reviewing his diet and his philosophy towards health and longevity, I’d agree with that statement. To understand why Tom Brady is one of the longest performing quarterbacks today, it’s important to examine his daily diet and exercise. He maintains a strict and disciplined approach. He maintains a ratio of 80 percent vegetables and whole grains to 20 percent fish and lean meats to maintain an alkaline diet. His diet is also void of nightshade foods because of their potential to increase inflammation of the joints. The reason this whole food diet works for Tom Brady is because it removes all possible barriers to recovery and healing. This holistic philosophy also extends to his strength training and conditioning. A core principle of Tom Brady’s strength training and conditioning is flexibility, or muscle pliability. His workouts are designed to increase strength without adding density to the muscles. The denser the muscle, the more bulky, inflexible, and inefficient it is at dispersing force away from injury-susceptible ligaments, tendons, and joints. Over time, muscles tend to shrink because of the repeated strain they experience. Tight muscles can compromise the bio integrity of joints and place unnecessary stress on ligaments and tendons, increasing the likelihood of injuries. This is why training to increase the flexibility of the muscle allows it to stretch and better absorb excessive loads and forces. What is Hands-On Muscle Work? Tom Brady follows this strength work and conditioning with hands-on muscle work. Hands-on muscle work, a form of manual manipulation, lengthens and softens muscle tissue and returns musculoskeletal structures to balance. Manual manipulation treatments, also known as osteopathic manipulation treatments, are hands-on treatments used by physicians to move muscles and joints using stretching, gentle pressure, and resistance. 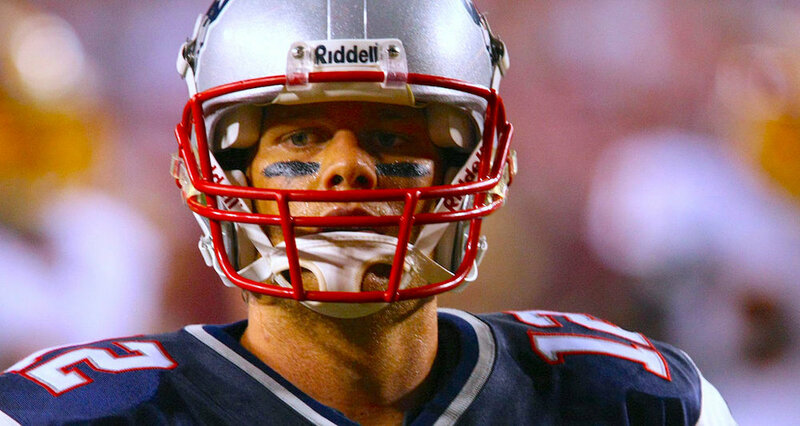 Tom Brady uses these basic principles to enable optimal healing and recovery. After an intense workout, hands-on muscle work increases blood flow to areas without a direct blood supply. Areas like the rotator cuff have a poor supply of blood and can take a long time to heal. Hands-on manual manipulation of the shoulder muscles increases blood flow to the area and with it, healing factors required for repair. Manual manipulation stimulates circulation of the lymphatic system, which lacks its own central pump system. Stagnant lymph can lead to inflammation and joint pain. Ensuring flow of the lymphatic system through hands-on muscle work ensures healing can take place. Whole-body muscle work removes restrictions in the nervous system. For nerves to function properly, they must have freedom of movement. During injury, nerves can become stuck or overstretched. This limits their ability to receive and send stimuli. A well-functioning nervous system promotes proper blood supply flow, lymph flow, and electromagnetic conductivity. Everyday, your body sustains damage that it must recover from. As you walk, exercise, even breathe, your body inevitably experiences wear and tear of muscle tissue. What makes your body so incredible is its self-healing ability. Your body spends every moment of every day healing this wear and tear damage. You can observe the body’s recovery whenever you feel sore after a long walk, and especially after a workout. This soreness is an indication that the healing process is taking place. That healing process uses vitamins, carbohydrates, fats, and especially proteins as the building blocks for repair and growth of new tissue. These building blocks come from the food you eat. Tom Brady sustains significant wear and tear damage. To ensure that damage does not overwhelm his body’s healing response, he follows a diet designed to provide weakened or damaged tissues with the essential vitamins and nutrients required for healing and recovery, and provide complete healing. Tom Brady’s whole food diet eliminates anything that could inhibit his body’s recovery process. In addition to a whole food diet, he also eats an alkaline diet. Just as your body maintains a specific temperature, so too does it maintain a specific pH level in order to function properly. Your body’s normal pH level tends to be slightly alkaline. Just as diet doesn’t directly vary your body temperature, your diet also does not alter the pH level of your body. However, an alkaline diet makes it easier for your body to maintain its slightly alkaline pH balance. When you eat a lot of acid-forming foods, your body must combat this acidity and divert minerals away from the physiological functions necessary for healing and recovery. By eating whole foods and ensuring the majority of the foods he eats are organic, local, and alkaline-forming, Tom Brady ensures his body does not divert precious resources required for recovery to combating acidity. Realize that the body will work to maintain its normal pH balance. Your diet, therefore supports this process or works against it. Tom Brady’s diet removes any barriers to healing and therefore supports his recovery process. Tom Brady’s diet is also void of foods known as nightshade foods because they are not anti-inflammatory. Few people will react negatively to foods found in the edible nightshade class. Research suggests those with autoimmune diseases should eliminate or limit nightshade foods from their diet. In Tom Brady’s case, the removal of nightshade foods lowers any chance of unnecessary inflammation, which could prolong his recovery time. Tom Brady drinks as much as four times the recommended daily intake of water, at times more than 30 cups of water each day. Water plays a vital role in the recovery process by helping protein cells synthesize, aiding the digestion and absorption of nutrients, and supporting the vascular and lymphatic systems by ensuring they are not stagnant and constantly moving. Is it possible to drink too much water? Yes. But an amount that would qualify as too much, a serious condition known as water intoxication, would be drinking as much as 1 liter per hour. Proper hydration ensures the body can deliver and synthesize the body’s building blocks during the healing process. Tom Brady also makes it a point to add electrolytes to the liquids he drinks. Electrolytes are minerals in your body that carry an electromagnetic charge. These minerals allow electrical impulses your cells use to communicate with each other to take place. These electrical communications help coordinate important nerve and muscle functions like heart beat, muscle contractions, and blood pressure levels. You lose electrolytes when you sweat. To ensure proper electrolyte levels, Tom Brady adds electrolyte drops to every liquid he consumes. These drops contain “72 trace minerals extracted from sea water” and “turn any liquid into a hydrating sports drink”. By ensuring sufficient electrolyte levels, he promotes efficient muscle tissue repair. Proper electrolyte levels combined with an ideal supply of nutrient-rich foods create an efficient system for healing the body. Realize, however, that most healthy adults already have balanced levels of electrolytes and most can handle fairly high fluctuations. Although maintaining an electrolyte balance using electrolyte supplements is an option, moderation here is key. What makes Tom Brady’s holistic approach to his health effective is not one thing in particular. It is the combination of diet, exercise, and "prehab" and rehab habits which clear the way for his body to do what it was built to do: return to and maintain a state of health. The removal of barriers to healing has allowed Tom Brady to outperform fellow players who are decades younger. Although they may be stronger and faster, he has the advantage of wisdom to work in sync with his body. Will he be able to perform at this level at the age of 45? I would say, without a doubt. Here is how Tom Brady summarizes his philosophy: “Playing sports increases the likelihood of injuries because you more regularly confront excessive loads and forces. That's why, as an athlete, if I want to live a healthier life on and off the field, I have to make great choices that are aligned with my goals.” These are wise words from one of the most accomplished quarterbacks to have ever lived. I implore everyone to listen. A whole food diet removes barriers to recovery and healing by reducing or eliminating unnecessary inflammation and providing essential nutrients necessary for recovery. Strength training and conditioning focused around flexibility, or muscle pliability, helps muscles disperse force away from injury-susceptible ligaments, tendons, and joints. Hands-on muscle work, a form of manual manipulation, lengthens and softens muscle tissue and returns musculoskeletal structures to balance. An alkaline diet makes it easier for your body to maintain its slightly alkaline pH balance. When you eat a lot of acid-forming foods, your body must combat this acidity and divert minerals away from the physiological functions necessary for healing and recovery. Hydration plays a vital role in the recovery process by helping protein cells synthesize, aiding in the digestion and absorption of nutrients, and supporting the vascular and lymphatic systems. Tom Brady’s holistic approach to health and longevity clears the way for his body to do what it does best: return to a state of health.